truewrestling.com: WWE hinting at G Rating for RAW and Smackdown Television shows? WWE hinting at G Rating for RAW and Smackdown Television shows? Rumors are running wild that the WWE may start an initiative in early 2015 that would re-brand their flagship Raw and Smackdown shows as G Rated. A G Rating stands for "General Audiences: All ages admitted. Nothing that would offend parents for viewing by children.". If the WWE were to update two of their most popular shows in this fashion, we may see episodes of WWE programming having more in common with feature films like Mary Poppins or High School Musical 3: Senior Year. Looking a bit deeper into this transition from PG (for kids slightly older than infants) to G (for infants or kids that enjoy teletubbies) the WWE would once again have to change it's every day production to now cater to those that could be offended by fighting, hatred, bullying, weapons, cages and the Wyatt Family. Seeing as how all of these elements make up a large chunk of WWE's programming we questioned our sources on how they think the WWE planned on going through with this. How they would avoid punching on TV: Vince McMahon himself said that throwing punches look "fake" anyway, they will phase those out as early as January of 2015. The Diva's division has already outlawed throwing punches since 2012. Rather than starting the match with punches, the wrestlers will try to grapple in the center of the squared circle with a series of amateur wrestling holds. Will there be any more cage matches? Our sources say they have no planned cage matches going forward, however if they do, they will be on the WWE network or PPV which will still maintain their PG rating. What about hatred or bullying? From the information our sources have attained thus far, it seems that the WWE has been slowly transitioning from heels and faces (good guys and bad guys) to everyone being good guys. There will be no more name calling or any insults of any kind being said from one "superstar" to the other. How do you fill 5 hours of TV programming with high fives and hugging? - Our sources said that during the G era, episodes of RAW and Smackdown will be part live entertainment show in front of a live audience and part family entertainment. 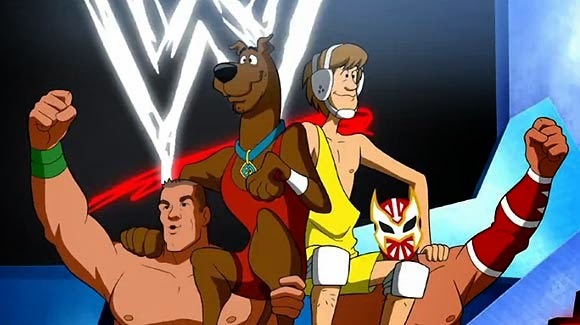 Episodes of Scooby Doo Wrestlemania and Slam City will air on the Titan Tron between grappling matches and interviews that happen in the ring or backstage. Matter of fact, you may only see two or three actual wrestling matches per week on Raw and Smackdown with the new G Rating. WWE Superstars will now be encouraged to 'save it for ppv' or try to talk things out rather than get into a physical confrontation. Speculation on what prompted the WWE to entertain a decision like this has been all over the park with those close to the organization's top idea people saying they've heard they're worried that they are too similar to MMA style fighting companies like Bellator and UFC. McMahon has gone on record that he never wants his WWE brand associated with the words 'wrestler' or 'wrestle'. He also believes that his company and it's characters are more in tune with that of a 5-10 year old child. 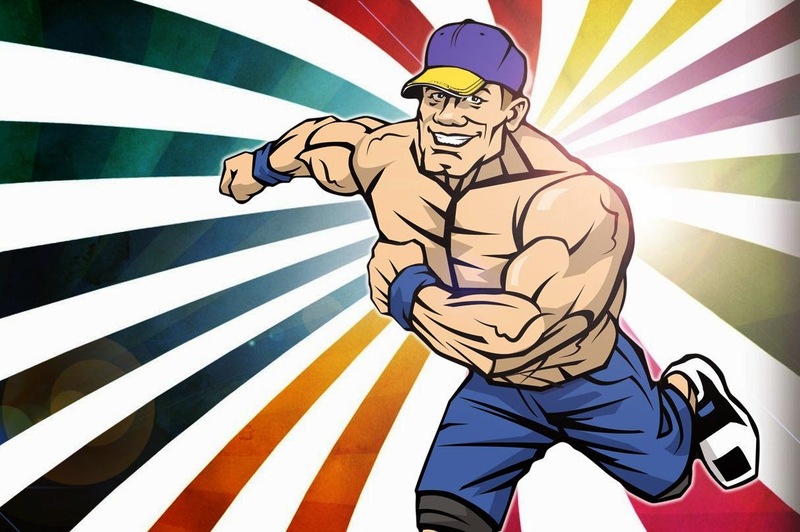 Characters like Los Matadores, John Cena and The Bunny are no longer cartoon portrayals of heroes and athletes you see on everyday television. 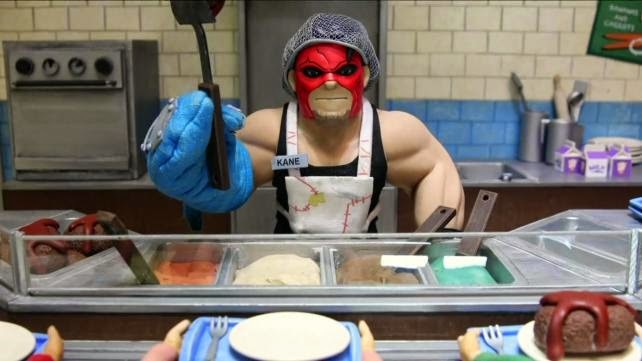 Now the entire WWE is a cartoon portrayal of it's former self!